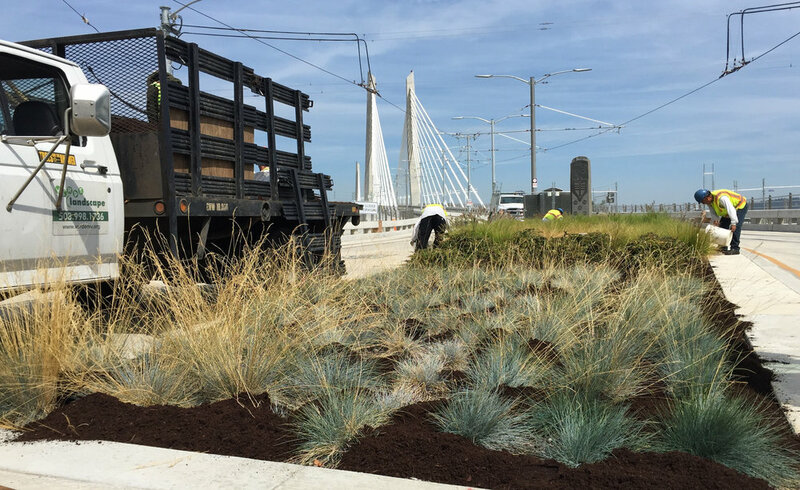 Verde Landscape hires and trains crew members from Cully and other low-income areas to offer higher-value, higher-skilled landscape services in and outside the Cully neighborhood. Our business model and comprehensive training program make a deep investment in people of color and low-income communities. Verde Landscape is providing the Landscape Services for Cully Park, including the athletic fields, stormwater management, bioswales, plantings, and the Native Gathering Garden. Learn more. Verde Builds, the head contractor for the Cully Park project, is another social enterprise run by Verde that supports minority- and women-owned businesses and organizations in Portland in order to create an inclusive project management practice. Verde Landscape's training program invests in crew members through classroom and on-the-job training in order to teach the skills needed to perform the specialized services we offer.